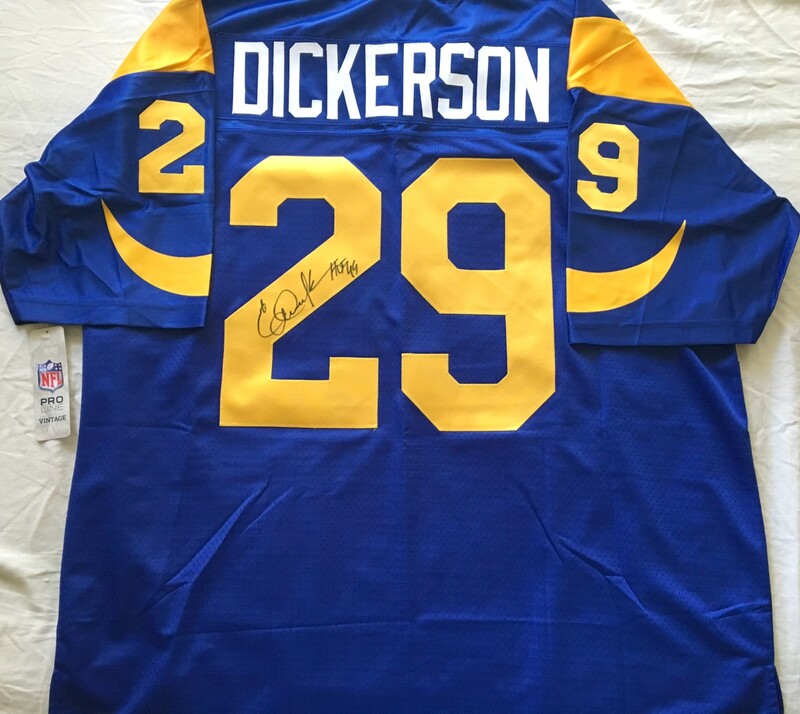 Eric Dickerson Los Angeles Rams blue original authentic NFL Pro Line Vintage throwback size 2XL jersey with stitched-on cloth tackle twill name and numbers autographed in black marker on the back 9 and inscribed HOF 99. Obtained in person at celebrity golf tournament, with certificate of authenticity from AutographsForSale.com. BRAND NEW, NEVER WORN (WITH PAPER TAGS). 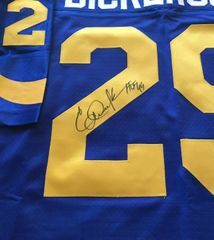 NOTE: As shown on ESPN Outside the Lines, the vast majority of NFL jerseys sold on the internet are cheap counterfeits made in Asia with vinyl numbers made to look like cloth. 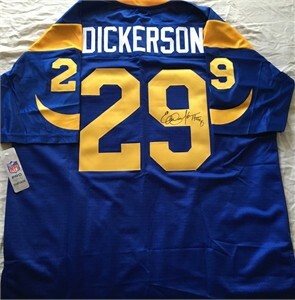 This is a REAL NFL Vintage jersey stitched in the United States.